Get ready to transport yourself with the tropical flavors of coconut and pineapple! 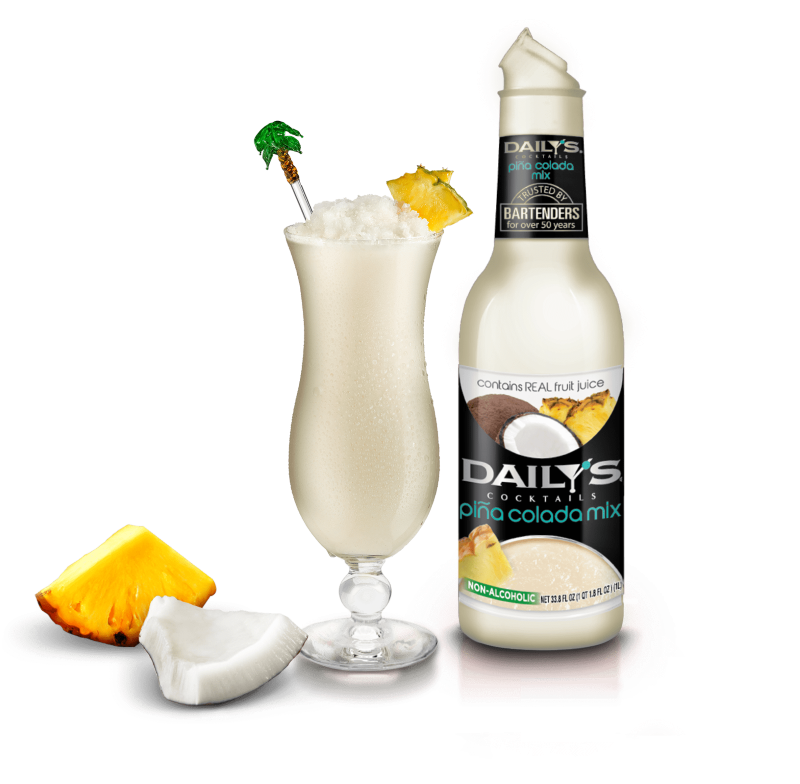 Make your own refreshing drinks with Daily’s Piña Colada Cocktail Mix. Add your favorite rum, blend and enjoy.